The original d900 from Syllable made quite a splash when it first arrived on the market. It was one of the very first fully wireless earphones ever produced. Furthermore, it was pretty cost effective, retailing for just $90 USD, cheaper than most semi-wireless sets. The earphones were pretty popular, featured on Unbox Therapy, PC Mag and a few other review sites. However if there`s one link between all of these articles, it`s probably their lukewarm reception and complaints of average sound quality and connection drops. Recently, Syllable have updated the d900, the new model bearing the d900s moniker. Bringing additional features such as apt-x and vastly improved batterylife, the new “s” model seeks to address the weaknesses of its progenitor at the same tempting RRP. I would like to thank George from Gearbest for providing me with a review unit in exchange for my honest opinion. I am not affiliated with Syllable or Gearbest, nor it there any monetary incentive for a positive review. I will be as objective as possible about the d900s and provide an honest evaluation of the product. The d900s have a pretty impressive un-boxing experience on a whole. They come within a small box that displays a nice promo image of the d900s on the front and a small diagram explaining the various features on the back accompanied by text description in a few different languages. The print was a little washed out but otherwise the box presents well. The top lid slides off to reveal the d900s housed within their dock and a smaller box that contains the accessories and manual. The d900s are outfitted with a variety of accessories, in addition to the included dock/case, Syllable includes a soft pouch, adjoining band and micro-b charging cable. Syllable also include a quick start card which lists a few steps to quickly start and connect the d900s. The d900s come with two pairs of silicone tips including those installed on the earphones, a medium and large sized set. They`re a double flange tip with small stabilizer fins. Unfortunately I found them to be thin and flimsy and I couldn`t get a proper fit with the either size. The fins are also pretty thin, they`re not shaped correctly and don`t contribute much to stability at all. But apart from the tips, the included accessories are all of good quality. The cables are flat and moderately thick and the pouch seems to be hard wearing too. The star of the show is undoubtedly the dock. The bottom has a tactile matte finish whilst the top is transparent to display the d900s themselves. The dock has two cradles that charge the earpieces via charge a minute two prong connector. The earpieces are firmly lodged within the cradle once the transparent lid is closed. As such, they don`t rattle around during travel and, despite the small connectors, the d900s charged reliably in my testing. There`s a cutout at the top that allows for the use of larger tips and 4 blue LEDs just below that display remaining charge of the dock itself. The plastics used are very thick and the dock feels well put together. Perhaps the clipping mechanism that holds the top cover down is a little stiff and it could also do with some small rubber feet as it tends to slide around on the table and scratch. Otherwise, it`s a really neat looking piece of kit that adds another dimension to the d900s usage and looks. Syllable well equip users with all the accessories they`ll need to confidently use their d900s. It`s here that the d900s begin to lose some some of their appeal. As a fully wireless earphone, the d900s have no external battery pack or receiver module. Instead, each earpiece contains all of the circuitry within. Whilst great in theory, this does make the d900s quite enormous for an “in-ear”. Syllable have tried to balance the size through a very smooth, tapered design that sits mainly in the outer ear. It works to some extent, helped in part by the very light weight of the housings, but the d900s are simply too bulky to achieve a stable fit. No matter what angle I tried I simply couldn`t get a proper seal and thus bass response. Eventually I found that wearing them backwards achieved a decent fit. It`s not ideal since the nozzles are slightly angled and the buttons face backwards but this fit allows the body of the earphone to lodge under the outer ear, providing stability. My struggles to achieve a decent fit were only exacerbated by the rubbish included tips, short nozzle and limited insertion depth which prevents the use of many aftermarket tips too. The d900s have a 200 size bore with a slightly oval nozzle that keeps the included tips in the correct orientation. Using an inverted fitment, I did manage to use the d900s with Sony hybrids, the oval nozzle wasn`t a problem and noise isolation was pretty good. The stock tips gave an unreliable fitment. When I did manage to achieve a stable fit, they produced only a partial seal and minimal noise isolation. I was expecting a pretty decent fitment, perhaps something similar to that of Bose`s earphones, sadly that`s not the case. The housings themselves are gloss, available in black and white. They`re a little slippery, especially with their very rounded features, but their large size makes them easy to handle. As aforementioned, they`re also very lightweight, they don`t disappear in the ear, but considering their size, they`re not as cumbersome as you would imagine. The d900s is not the most sturdy or premium feeling earbud, the plastic feels thin and visible seams run the perimeter, the inner and outer housings don`t quite marry up leaving some rough edges. In addition, the buttons feel pretty average, with a mushy click and limited travel. They loosely fit within the housings, causing them to rattle during any kind of movement. This noise is amplified when the earphones are inserted within your ears and the constant clanking of the buttons gets quite obtrusive over longer sessions. Despite this, buttons worked reliably, registering every click in my testing. On a more positive note, the housings have an IPX4 water ingress rating. They should withstand sweat and getting splashed with water, but you can`t submerge them nor would I try to wash them under running water. I can see that the d900s were designed for sport use, as these wireless buds generally are, but the fitment was not nearly stable enough for my usual 6K run or even weight training. The most the d900`s could handle was general commuting and walking which, apart from the occasional dropout and wind noise, they were quite practical for. Being a fully wireless earphone, a common complaint may be that the earpieces are easy to lose. Syllable include a rubber band to adjoin the two earpieces which some users may prefer. It`s well molded and a more matte over tacky rubber. The loops that connect to the d900s are slightly triangular to maintain correct orientation. The band is a nice and simple way of dealing with a potential problems associated with completely wireless buds, the band has saved my set from a few tall drops at the very least. So the word frustration probably sums up my experiences with the design. I can`t comment on whether the d900s is superior to the original d900, but I was expecting a much more stable fit considering that there`s no cable to hold the earbuds in place. Perhaps the d900s just need a memory wire ear loop, but a smaller, more ergonomically shaped housing would go a long way to improve comfort and fitment. This also made it very difficult to evaluate the d900s audio performance as achieving a proper seal was pretty much impossible. Unless you have abnormally large ears, the d900s are unlikely to fit or seal properly. Of all my immediate family and friends, only one or two could get a decent fitment, the rest had an experience similar to mine. The buttons on the outer faces of both earpieces handle power with just the right one controlling pairing and media controls. The perimeter illuminates to display various statuses; they glow red whilst charging (and turn off when finished) and alternate red/blue when in pairing mode. The earphones also produce various audio cues to make the process of power and pairing easier. Initial setup and usage is relatively simple, rather than pairing to both earpieces from the source, you simply pair with the right earpiece which then relays a stereo signal to the left driver. Both earpieces come paired to each other from factory to save you some hassle, but they can be easily re-paired if an error occurs. As far as pairing goes, simply hold down the button on the right earpiece for 4 seconds, the LED alternates red and blue and the d900s enter pairing mode. Pair the d900s with your device (they appear as SYLLABLE TIP) and turn on the left earpiece. It should promptly connect to the right one and audio will play through both. In actual use, I found that pairing and connecting each earpiece was simple and reliable. Sometimes audio played only through the right earpiece, but simply pausing and un-pausing the source allowed the left earpiece to establish a connection. If you`ve read about the d900 or even read a few d900s reviews, you will probably hear a lot about dropouts. In my uses, dropouts were unfortunately very common regardless of source. Some sources were more reliable than others, my apt-x enabled HTC M8 for instance provided a more reliable signal than my laptop (Windows 10) and iPod Nano 7G, but even listening from my phone, dropouts occurred every 1-2 minutes. It is a quick dropout, lasting about a second, and I did appreciate how the sound gently fades in and out rather than just cutting out abruptly, but these frequent dropouts easily become distracting, especially when listening to dialogue in a video/movie. This was more of an issue with the left driver than the right one but the right earpiece still cut out a few times too (which in turn led to audio loss in the left driver). Any obstruction, such as placing my hand over the earpiece would cause a complete loss of signal and wireless range was similarly poor; any distance over ~2m would cause either very intermittent or a complete loss of audio. It`s very unfortunate really and dropouts occurred even when holding my phone to my ear, it makes for a very jarring listen. It would be interesting if Syllable could include a cable instead of a band to connect both earpieces, as the most frequent dropout I experienced was between the left and right earpieces. A cable connecting each would be less cumbersome than a traditional wireless earphone and would solve the majority of dropout issues users are reporting whilst retaining the option to go fully wireless. Due to the nature of a fully wireless earphone, the d900s can be used in mono. Both the left and right will pair to a phone and play in isolation, but only the right will pass through remote commands from the button. I can see a few users finding this useful. The right button also acts somewhat like a multi-function button. A single press controls the play/pause function, but a double press phones the last caller instead of skipping tracks. This behavior occurred on both my HTC M8 and Galaxy S6 Edge, only the single press function worked on my Windows laptop and iPods. Triple clicking the button had no function. It`s an odd choice, but play/pause is more than sufficient and, in culmination with the built-in microphone, allows the d900s to function as a pretty decent hands-free set as well. Each earpiece houses an internal battery that can only be recharged via the included dock. The dock doubles as a case to protect the d900s during travel and charges the earpieces from its inbuilt 1000mah battery. it`s recharged through the micro-b port on the right side and is activated through the power button on the front (single press activates charging). Pressing the button illuminates the 4 LEDs at the front of the dock that display the remaining charge of the dock itself. Syllable claim 4 hours of playback from the d900s. At low volume, I managed to get around 3 and a half, perhaps you`ll be able to reach the 4hr mark when connected over a regular Bluetooth 4.o connection (not apt-x), but I couldn`t get reliable sound from any other source. Each earpiece has a 65mah that takes 2 hrs to charge from empty, you can expect around 6 charges from the dock`s internal cell. Quickly perusing some reviews of the original d900, many complained about the “flat” sound. I doubt those who achieve a decent seal with the d900s will have any such complaints. The 8mm dynamic driver d900s have a V-shaped sound in general, bass has an overall emphasis, there`s a dip in lower mids and increasing prevalence heading into the upper midrange. Treble is slightly accentuated avoiding fatigue. The sound has a thinner character to it in general. The soundstage is mediocre at best. Of course since I had difficulties achieving a proper seal this might affect my experience, but in general, the sound was congested and diffuse. There`s not a great sense of separation to the sound and imaging is inaccurate with sound being pushed to the sides with little in the centre. It`s a very unorthodox presentation, at least the soundstage has decent width if limited depth. There`s a constant hiss that`s quite evident when the earphones are in use. Considering the price and size constraints of the earphones, the hiss is hardly distracting, but it`s almost always noticeable for those more sensitive to white noise. The d900s have no volume controls, volume can only be changed from the source. I found them to offer a good mix of adjust-ability with plenty of volume for louder listeners. Bass is very full and pretty well extended when you have an adequate seal. Sub-bass has the greatest boost with decreasing emphasis as the sound moves onto the midrange. I`m assuming this is to combat the loose seal of the stock tips, as they sound relatively flat with a partial seal. As a result of this tuning, there is no bass spill but rather the contrary, lower mids are left a bit thin without adequate body. This grants a lot of slam and impact to the sound whilst retaining a clearer sound and the d900s avoid overly warming the low end. Sub-bass has too much emphasis for my tastes, it sounds great for pop but other genres tend to sound muddy and off balanced. There`s definite detail and definition loss due to the sub/mid-bass boost. Buyers coming from consumer earphones might not enjoy the recessed upper-bass which saps body and warmth from the sound. Despite the low-end emphasis, the midrange on the d900s has quite a bit of presence and clarity. Lower mids are slightly over shadowed by the bass but there is minimal spillage. I found the lower midrange to sound slightly thin, even hollow with certain tracks. Male vocals and acoustic are pushed back in the mix whilst upper mids are actually quite forward. This is unfortunate since upper mids tend to sound harsh and peaky. The majority of music I tested the d900s with sounded slightly metallic, female vocals in particular sounded thin and strangely nasal. There is some benefit to this tuning however, as the upper midrange somewhat balances out the bass emphasis and upper mids do have quite a bit of clarity. With some songs, namely K-pop where female vocals are already quite forwards, the upper midrange of the d900s can be excessive, overwhelming other frequencies. Despite this character, there`s an absence of detail to the midrange on a whole whether connected over apt-x or not. They`re not terrible and completely listenable, but for $100, considering the feature set, I would hope that they would compete with earphone that cost even half the price, sadly many better options can be easily found. Treble has great extension but the quality of the treble is only average. Treble has a slight roll off at the very top, high-hats are pushed more into the background, but sound quite accurate. That describes the treble in general really, cymbals, effects and higher vocals all sound accurate just pushed either forwards or backwards in the mix. The treble isn`t particularly well detailed but it`s also relatively un-fatiguing and inoffensive especially considering the harsh upper midrange of the d900s. Perhaps the more sedated upper treble adds to the general congestion of the soundstage, there`s little separation to the sound and a lot of details are lost. To make things more interesting, I`ll compare the d900`s to another earphone that costs around the same amount, the Klipsch X10 (~$100 online). The X10`s immediately impress over the d900s with a far more comfortable, stable and isolating design. The housings are absolutely dwarfed by the d900s, I believe the x10`s were once the smallest earphone on the market. The machined copper housings also feel nicer than the plastic bulbs of the d900s. So despite being wired, the x10`s are far more comfortable and the level of seal produced is simply not viable from the bulkier d900s. There are downsides to this level of seal, for instance, there`s a lot more cable noise on the x10`s, that`s a given since the d900s have no cables, but the d900s rattling buttons are arguably just as intrusive. In terms of sound, the differences are just as pronounced. The X10`s are much smoother with a more sedated high end and a lusher low end. The dynamic driver d900s actually possess more end to end extension, I feel they have more treble extension and similar if ever so slightly more sub-bass extension. The d900s have a lot more sub-bass, similar mid-bass but less upper-bass. So while the d900s sound thin throughout the midrange, the x10`s instead sound fuller than neutral which flatters more genres of music and applications in general. Such tuning is not always beneficial, it`s very easy to overly warm the midrange and create a muddy mess, but in this instance, the x10`s undoubtedly have the upper hand. It`s really the high end where the x10`s outshine the d900s. The d900s, while reasonably clear, sound artificial and thin. 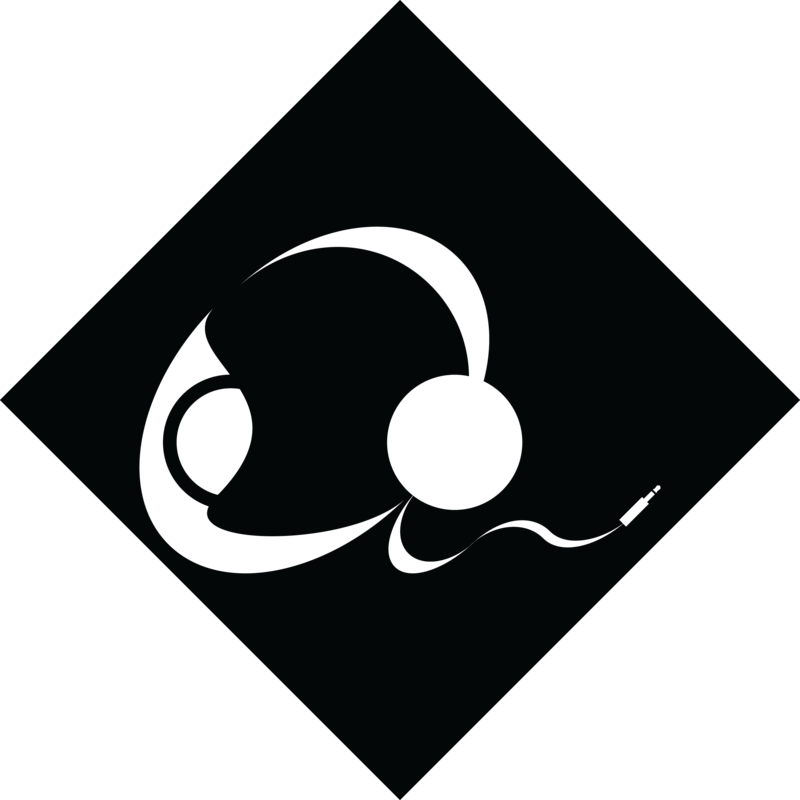 Female vocals, piano and strings all come through as harsh and at times, metallic, the treble having a similarly thin character, but not to the same extent. The x10`s are much smoother and more laid-back, with a nice vocal presence that avoids being overly forwards and peaky. Vocals have more body, instruments more accurate timbre and on a whole, the sound is so much more invigorating. Gearbest currently have a special on, if you use the code “LHSY”, the d900s can be had for a $40 discount, bringing them down to $50. At this price, the sound is quite good, and the feature set is all the more impressive. But again, I have a hard time recommending them simply due to the ergonomics and wireless dropouts; It really doesn`t help that Shozy`s $60 Zero in-ears sounds subjectively better than the Klipsch X10`s which, in turn, make mince meat of the d900s. In all honesty, the d900s are not a bad sounding earphone, my initial impressions were rather pretty positive. But over time the character of the upper midrange, the sub-bass bloat and other small niggles did add up. From the aforementioned comparisons, it`s clear that the d900s lack the audio finesse that most other earphones possess in this price range. I`m not saying that you should ditch the d900s and buy the Klipsch x10`s or Sozy Zero`s instead, they were just earphones I had on hand that were in a similar price range; this comparison was purely intended to illuminate the performance cost of wireless technologies. Whether the additional features of the d900s are worth it is is up to the buyer, but the compromises in ergonomics and sound make them a hard product to recommend. As for the d900 vs the d900s, the addition of new accessories, new features and apt-x support all promise a genuinely improved experience. But theory and application are completely separate and at the end of the day, I have a hard time quantifying whether the additions within the new “s” model bring any real life improvements. There`s more to a wireless earphone than just slapping together a generic driver, an apt-x enabled Bluetooth receiver and building an awkward housing around it. As much as I wanted to like the d900s, neither the wireless nor audio performance really deliver and the ergonomic difficulties don`t help Syllable`s case either. It`s unfortunate really because you can see some genuine thought went into the original d900, but Syllable have failed to address key concerns from its preceding model and the d900s arrives ill-equipped in an even more competitive environment. For $100, many earphones both wired or wireless will best the d900s. Although a fully wireless design such as this is very uncommon at this price point, there`s a reason why most of the competition are priced so much higher, the d900s simply have too many compromises and few redeeming talents. Accessories – 8/10, Nice un-boxing, great set of accessories. The included case is fantastic, the adjoining band is thoughtful and the pouch is a nice touch. Syllable really cheaped out on the eartips, they`re flimsy and lacking in general. Design – 2.5/10, The d900s look unique but feel cheap. The housings are ridiculously large and achieving a proper fit is almost impossible. Both buttons rattle with a mushy feel and the earphones are poorly designed in general. IP4X water resistance is a nice addition, but the earphones are too unstable for any kind of activity anyway. At least the pairing process is simple because the wireless connection frequently cuts out. Bass – 4/10, Good extension but too much sub-bass emphasis creates bloat. Mid-bass is punchy but recessed upper-bass creates a thin sound. Decent texturing with a little definition loss. More balanced with a weak/partial seal at the cost of extension. Mids – 3/10, Lower mids are thin, upper mids sound harsh and hollow with older tracks. Peaky and lacking detail but with a nice sense of clarity. Highs – 4/10, Slightly accentuated lower treble grants some excitement but a slight roll-off pushes certain sounds into the background. Again, not too much detail and a thinner character, but otherwise, everything sounds quite accurate. Soundstage, Imaging and Instrument Separation – 2/10, Not really a soundstage to speak of, decent width but no depth creates congestion. Sound diffuses to the sides creating inaccurate imaging and a loss of separation. Verdict – 3/10, I wanted to love the d900s, they`re innovative and I like that. There`s something strangely liberating about a fully wireless earphone, but in use, there`s just too many compromises. The fit is impossible, the wireless connection has frequent dropouts and the sound quality when you finally get everything else working is average at best. The packaging experience and included dock is pretty nifty but everything else feels half baked. I must reiterate that for the $90 USD RRP, many far better options can be found if you`re willing to sacrifice fully wireless functionality.